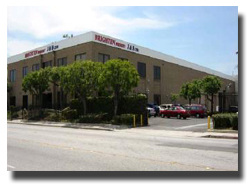 Brighten Freight Group is dedicated to three things. Listening to and satisfying our customers, creating opportunities for our employees, and achieving long-term, sustainable growth. Our culture is about exceeding our customers' expectations and providing a place for our employees to make a career. It is noticeable that our people just care more. They move faster, work harder and are better rewarded than our competition. It's a simple philosophy that works - we will do all we can to protect our culture. Copyright (C) 2014, Brighen Freight.com. All right reserved.